Looking for a Toll Free number for your business? X’mas is the best time to get a toll free number in India from India’s leading Toll Free service provider. Till 25th December 2018, you will get a flat 30% discount on our stack rate i.e. a Rs 3,000 monthly plan will cost just Rs 2,100 with same monthly benefits as of Rs 3,000 toll free IVR plan. Toll Free numbers are the best tool to generate more leads and offer support to your elite customers without being charged to contact you. The more you care about the customer, more business you will get. 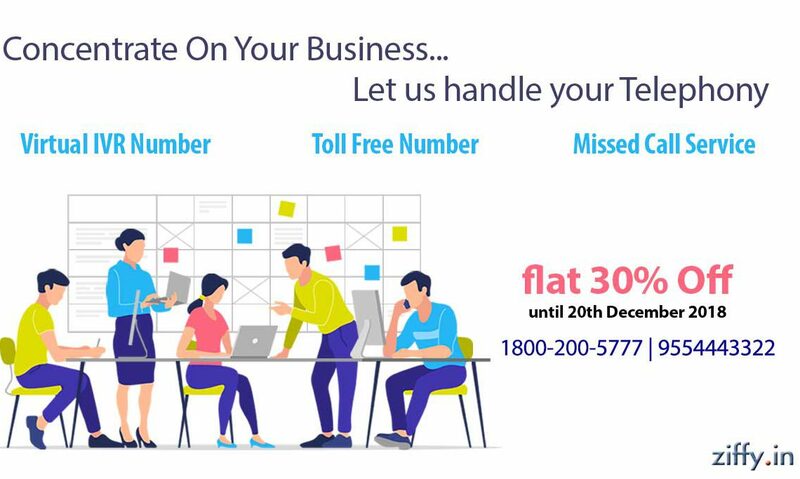 To get a Toll Free number or IVR number plan with the offer, just call 18002005777 or 9554443322 and one of our representative will call you back in few minutes. Our Toll Free and Virtual Plans starts from Rs 999 & Rs 299 per month respectively with free IVR hosting on these numbers. 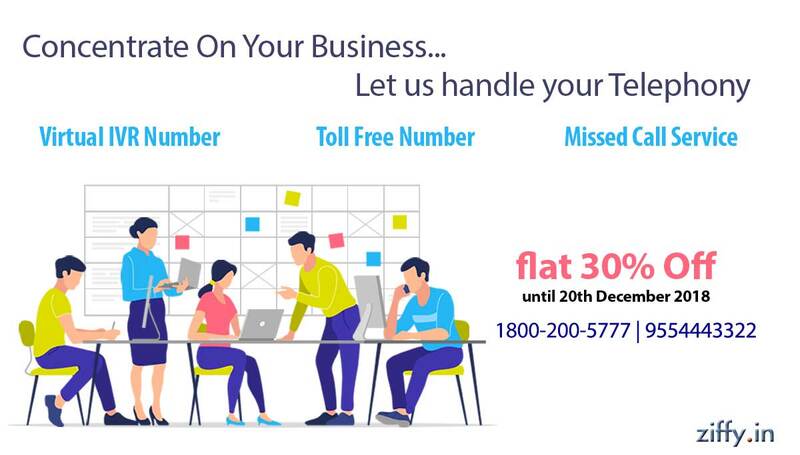 The benefit of getting a Toll Free or Virtual number with an IVR is that you will not be missing any business calls anymore as IVR service will provide you 100% call logs, Call Recording, multi-user extension to forward calls to different executives and unlimited scalability and redundancy. Unlimited scalability and redundancy means you will be able to configure your ivr no to handle one call at a time to thousands of calls at a time giving you scalability on demand. Similarly, redundancy enables you to have a 100% uptime for your service i.e., no more, fiber cuts, or poor network. For more details, please feel free to contact us on 9554443322.